Often found hiding in the murky swamp water of Mata Nui, the Tarakava is a ruthless lizard-like creature that lunges from hiding to attack. When controlled by the Makuta, the Tarakava are dangerous foes of the Toa – but if the Toa are victorious, these beasts can be tamed. Press the Tarakava’s levers for powerful punching action versus its foes. 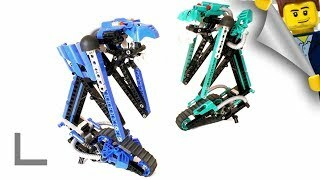 Includes two Tarakava per set.